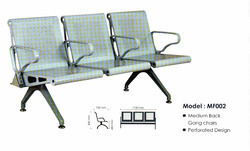 BMS is one of leading Manufactures of Hospital Chairs And Furniture in More Varieties of range. We can also Customise our product According to the Requirements of Customers. We have supplied Many HOSPITALS in all over India & BMS One of very Trusted Brand..
1.Available in 2,3 and 4 seater Configuration. 2.Made Up of High Quality Steel and Powder Coated. 1.Available in Grey Color as standard,Other Colours as Optional. 3.Made Up of High Quality Steel and Powder Coated. 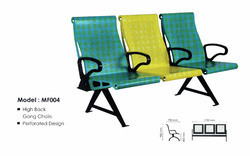 1..Made Up of High Quality Steel and Powder Coated. 3.Available in 2,3 and 4 seater Configuration. Looking for Hospital Chairs & Furniture ?